1. Bavaria is an experienced manufacturer with a longstanding reputation. First of all, Bavaria is not new to this game by any means. The company was founded all the way back in 1978, so Bavaria has decades of experience creating high quality yachts. Indeed, today the company is one of the largest sailing manufacturers around. Every year, they manufacture as many as 4,000 vessels to ship out to buyers around the globe. So when you take out a Bavaria yacht, you know you can trust in its quality. 2. As you might expect with German manufacturing, Bavaria cuts no corners. Indeed, that quality is ensured through Bavaria’s attention to detail in the manufacturing process. The company utilizes cutting edge technology, and only has a single factory. That means that all their boats are manufactured in the same location using the same equipment. So you will find no quality control issues here; all the vessels are manufactured according to the same high standards. The materials used in these boats are all of the highest grade; you will never see particle board where you expect to see real wood. Nonetheless, Bavaria never stops to rest on its laurels. This is a company which continues to innovate both in the manufacturing and design departments. New vessels are being added to the Bavaria catalogue on a regular basis. The components used in Bavaria vessels also are of the highest quality, and come from trusted brands. Electronics are provided by Garmin, the sails are Elvstrom, the deck equipment is Lemwar, Jefa makes the steering systems, and so on. 3. Bavaria vessels are considered very easy to handle, making them ideal even for beginners. Bavaria’s boats are not just known for their high quality materials and sturdy builds; they are known for their easy handling and sophisticated designs as well. Indeed, many of them can be sailed with just one or two crewmembers. That means that if you want to set out to explore the Croatian coastline by yourself, you can. Even so, you will find plenty of technical features to enjoy. 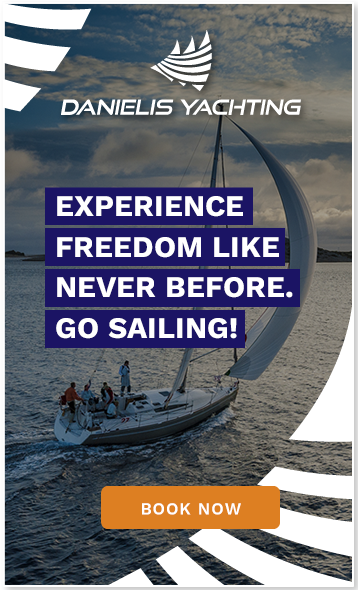 That means that Bavarian yachts are an excellent choice for novice and advanced sailors alike. 4. There is a wide selection of comfortable Bavaria charter vessels to choose from. • Bavaria 55 Cruiser Yacht Charter: This is one of Bavaria’s larger yachts, with 5 cabins and 10 berths. This would be a fantastic choice if you want to set sail with a larger group and are looking for plenty of room to accommodate everyone. • Bavaria 40 Cruiser Avantgarde Yacht Charter: This is a 3 cabin model which contains 6 berths. Many of Bavaria’s models are mid-sized like this, offering the perfect amount of space for a smaller group. • Bavaria Easy 9.7 Yacht Charter: This yacht has 2 cabins and berths for 4. It is a smaller option which is ideal if you are setting out with just one other person or a small group or family. • Bavaria B/one: This is one of the smallest yachts offered by Bavaria, set up for just one person. This is just a small sampling of Bavaria’s catalogue. 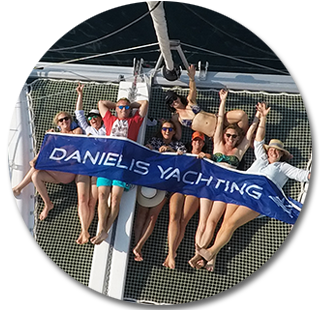 You will find numerous different options no matter what size of vessel you are looking to charter. When you call to book a charter yacht in Croatia, you will have a number of different manufacturers to choose from. While there are a lot of great choices, one of the best in the industry today is Bavaria. So ask about Bavaria vessels, and enjoy your holiday sailing the beautiful Adriatic!